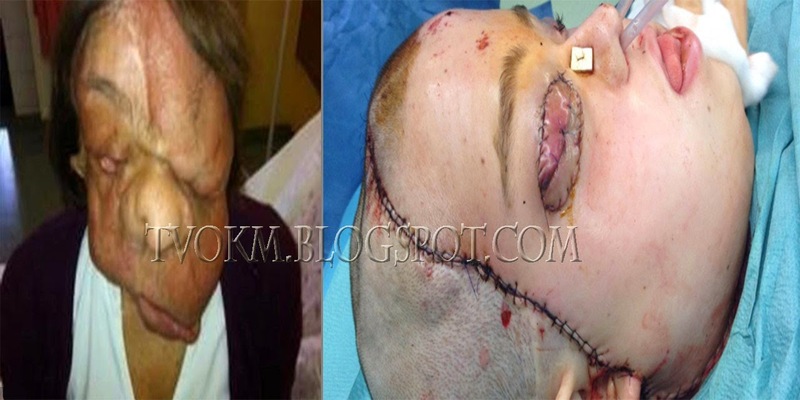 A Polish woman who had suffered from a large tumor on her face and has undergone extensive transplant surgery on her face. Joanna, 26, previously suffered a genetic disease Neurofibromatosis, a type of tumor (benign) on the nerves that caused her to have trouble chewing, swallowing and speaking. Adam Maciejewski, who led the operation last week, treatment to 80 percent of her facial skin done will take 23 hours and is expected to restore the function of affected organs. Neurofibromatosis also causes bone problems, pressure on the spinal cord, severe pain, learning disabilities and hearing and vision problems. Joanna is the second patient to undergo a face transplant surgery at the Cancer Center and Institute of Oncology in Gliwice, Poland. She is in a serious condition, but is stable after undergoing surgery at the centre. Dr. Anand Saggar, who is a Geneticist doctor, said tumors will not recur because the new skin was taken from different genes. Previously, Maciejewski surgery group had conducted the first face transplant surgery on a man who was injured when his face was torn in the accident.